Cyber, a Boston, MA-based IIoT and industrial control system (ICS) security company, closed $18m in Series B funding. The round, which brought total funding to date to $30m, was led by Norwest Venture Partners, with participation from previous investors Glilot Capital Partners, Flint Capital, ff Venture Capital, and OurCrowd. The company will use the funds to drive international growth and to expand its ICS product development, security research, and threat intelligence teams. 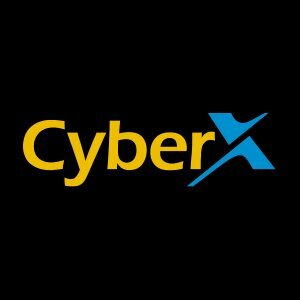 Founded in 2013 by Omer Schneider and Nir Giller — military cyber experts with nation-state expertise defending critical infrastructure — CyberX provides an IIoT and industrial control system (ICS) threat monitoring and risk mitigation platform to Global 2000 enterprises across all critical infrastructure verticals, including energy & utilities, pharmaceuticals, chemicals, oil & gas, and manufacturing. The company’s platform incorporates ICS-specific self-learning that enables it to deliver accurate insights in less than an hour, without relying on rules, specialized skills, or any prior knowledge of the environment. To eliminate any impact on the operational network, the platform uses passive, non-invasive, agentless monitoring. Specialized M2M behavioral analytics and proprietary Network Traffic Analysis (NTA) algorithms enable security teams to continuously detect, respond to, predict, and prevent threats to critical infrastructure networks.